Google Play now lets users preregister for upcoming apps and games. 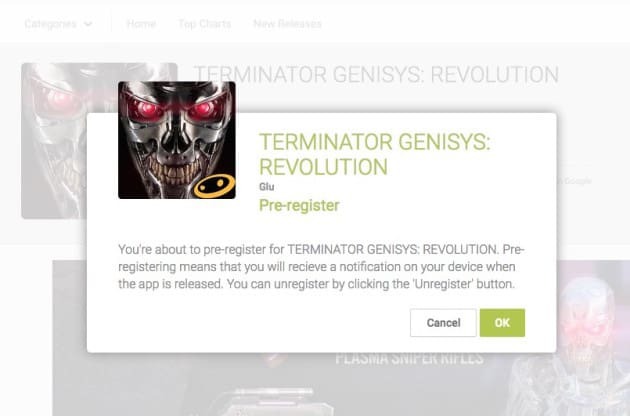 Pre-registering means that you will receive a notification on your device when the app is released. 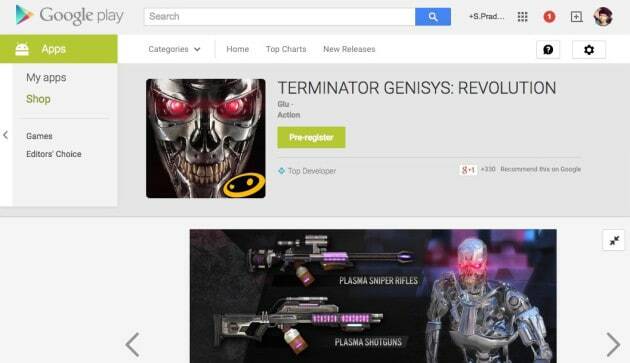 The first app (game) to get this feature is Terminator Genisys: Revolution, you can see the screenshot below. If you want to Pre-register for this game, you can just click the “Pre-register” button. But unfortunately I’m not able to find any release date or even the price for this app, so that is a big withdraw for the wait. Also the device compatibility and country availability are also missing, hope Google fixes these small things to make this awesome feature click. If you are not interested you can also unregister by clicking the ‘Unregister’ button. Overall this is a great and useful feature for Android app developers.